Former India captain Sourav Ganguly has written to BCCI Acting President CK Khanna, Secretary Amitabh Chaudhary and Treasurer Anirudh Chaudhry over Committee of Administrators (CoA) about the sexual harassment allegations against BCCI CEO Rahul Johri. 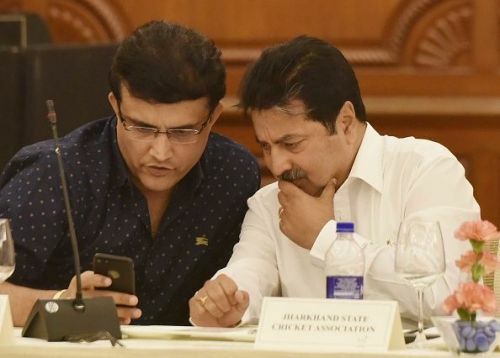 In his mail, (a screenshot of which was posted on Twitter by ANI), Ganguly, the president of the Cricket Association of Bengal, stated that he was writing with 'a deep sense of fear as to where Indian cricket administration is going'. While he was quick to note that he doesn't know how far the allegations are true, he said he was worried as to how the CoA, comprising former CAG Vinod Rai and former woman cricketer Diana Edulji is divided over the matter and the course to be taken.